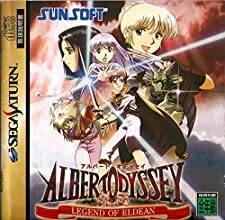 Albert Odyssey Gaiden ~Legend of Eldean~ (アルバートオデッセイ　外伝　～レジェンド　オブ　エルディーン～) is a RPG game, published by SUNSOFT, which was released in Japan in 1996 for the Sega Saturn. Albert Odyssey Gaiden Sega Saturn SS Japan Very Good Condition! 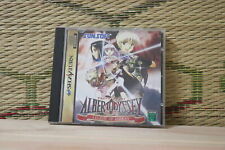 Albert Odyssey Legend of Eldean Sega Saturn Japan Import USA SELLER FAST SHIP!